We’ve got a game of Axis & Allies going on next weekend, and I’ve drawn to be part of the Allied forces. 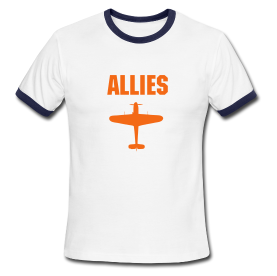 What, you may ask, should you wear to the first Axis & Allies match of the year? 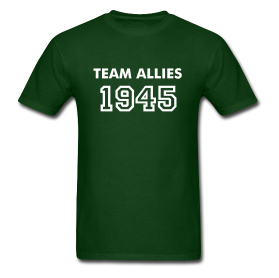 How about an Allies forces t-shirt? 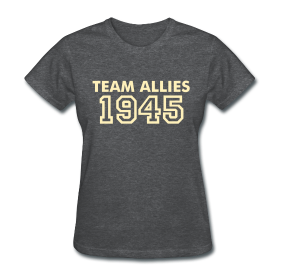 There are more than a few options in our Axis & Allies clothing store, such as the following hip designs. 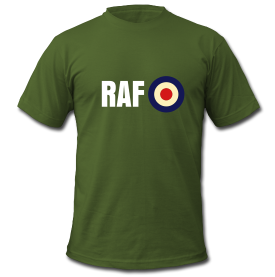 For each, you can select from various colour combinations. 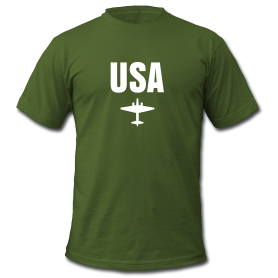 Click the shirt to have customization options open in a new window.